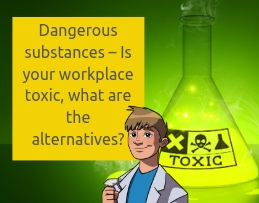 Dangerous substances - is your workplace toxic, what are the alternatives? I met Louise 2 years ago at a CMA Kick-off event in Dundee. Naturally when you are at a business event you find out what each other does for a living. Louise told me that she used to be an employment lawyer but she was attending the Content Marketing Academy event to find out how she could use content marketing to spread the word about her brother Michael and raise awareness about safe working practices. I find it very difficult to watch Louise tell Michael’s story without crying; such a sad, heart-wrenching thing to happen that could have been so easily avoided. What is International Workers Memorial Day? The 28th April, 2019 marks International Workers Memorial Day all over the world. It was set up to commemorate workers who have lost their lives in workplace tragedies and individuals who have left for work never to return to their families. Increased awareness of how workers are exposed to dangers in the workplace and also the risks associated with dangerous substances is crucial, why? 2.3 million Women and men around the world succumb to work related accidents or diseases every year. 160 million - Occupational diseases per year. 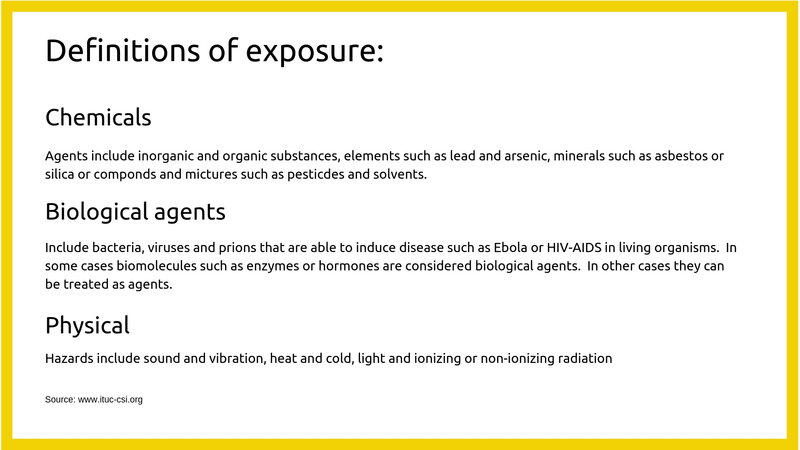 Most of the occupational diseases in the list are caused by chemical agents. When the majority of us think about chemicals and dangerous substances in the workplace, the initial thoughts of many could be acid, lead or maybe pesticides or solvents. They can be bought freely from supermarkets and shop in the UK and other parts of the world. One of the most common substance, widely available today is chlorine. Chlorine can be found in many products and used in varying work places. There is no age limit to buying these products yet, used incorrectly, mixed with other products, ingested or inhaled could cause serious illness or death. Is shop bought chlorine dangerous? Is chlorine dangerous for children? Chlorine is a corrosive, hazardous substance and the majority of people understand the highly dangerous implications if it were to be swallowed. Have you stopped to consider the issues that can arise when the fumes from chlorine are inhaled? Even after bleach has been applied to a surface and rinsed, the fumes are still present in the air. Studies have shown that chlorine has an adverse effect on the respiratory system of children. Places with bleach usage showed a higher number of asthma and allergy sufferers than in establishments where alternatives may be used. Is chlorine dangerous to cats and dogs? What are the alternatives to chlorine? 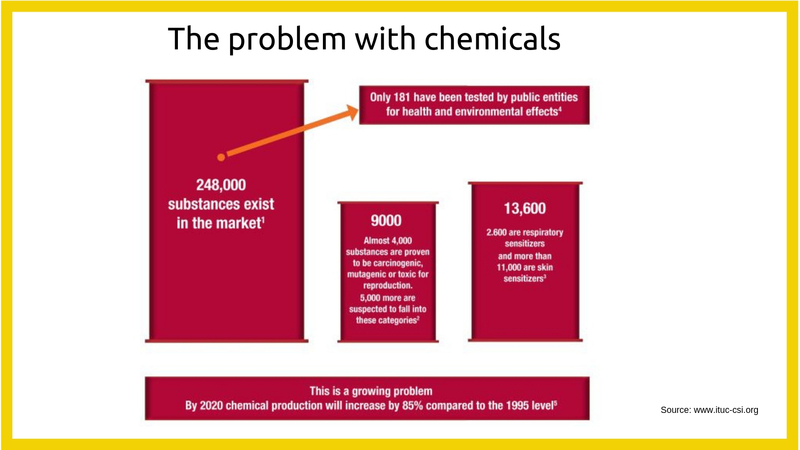 Stop and think about your business and your home… What products do you use that contain harsh chemicals? Check the labels; I could hazard a guess that at most of them contain a dangerous substance? If this is the case, have you considered a safe alternative? Safe, eco-friendly alternatives are on the rise. Manufacturers know that consumers are looking for products that will not harm humans, animals or the environment so more and more products are arriving on the market. It is a poignant statement but hits home how important it is that current practices need to change. Whether you work in a large organisation or small office, it is likely that dangerous substances are used. Hazardous chemicals should be eliminated or, where this is not possible, changed for a safer alternative. At home, the same processes can be applied. Can you make a difference in your workplace? Are there chemicals being used that could be substituted for a safe alternative? Do you know someone who works in a hazardous environment and needs Louise’s help to make their workplace safety a top priority? To be able to share Michael’s story publically to 1,000’s of people, to fight so fiercely to make sure tragic events like this never happen again, to able to do this without breaking down every time – this makes Louise one of the strongest people I have had the pleasure in meeting. What can you do at home? Can you swap out your current products for something safe and ethical?